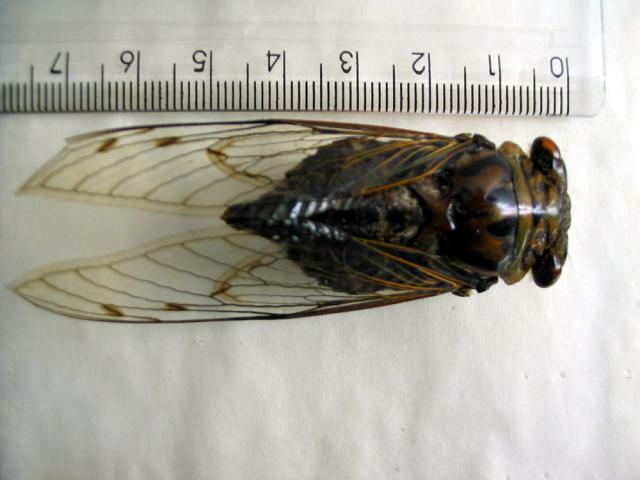 Dorisiana semilata (Walker, 1850) is a cicada found in Costa Rica, St. Lucia, Guiana, French Guiana, Trinidad, and Brazil. 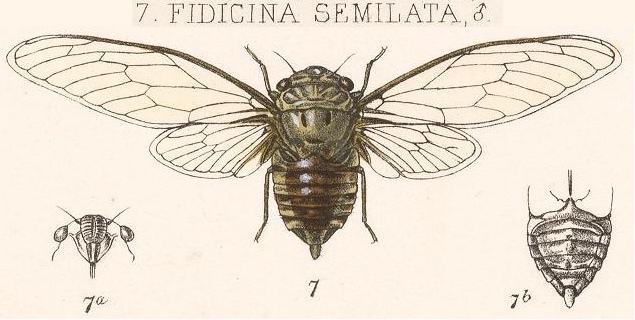 Dorisiana semilata was formerly known as Fidicina semilata. 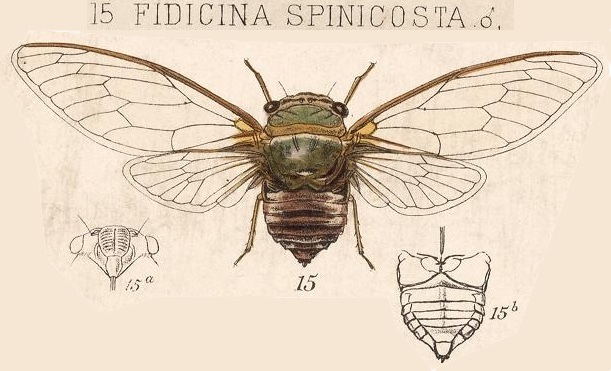 Its name changed when it moved from the Fidicina Amyot & Audinet-Serville, 1843 genus to the Dorisiana Metcalf, 1952 genus. 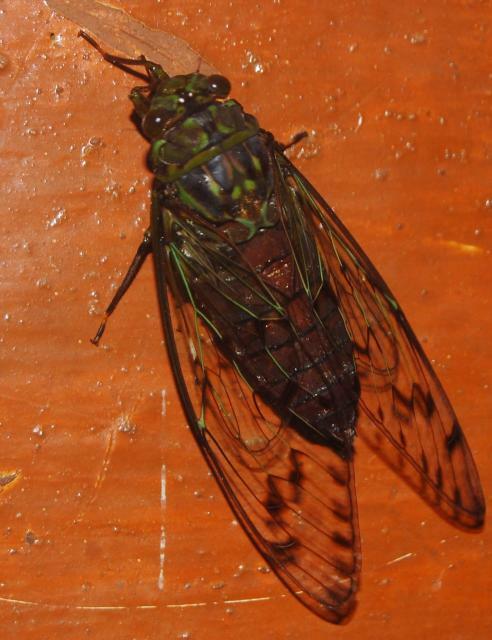 The image might say Fidicina semilata, but the newest name of this cicada is Dorisiana semilata. 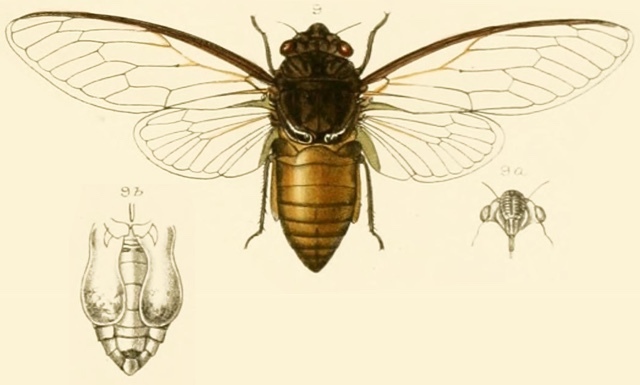 Cornuplura rudis (Walker, 1858) is a cicada found in Mexico. 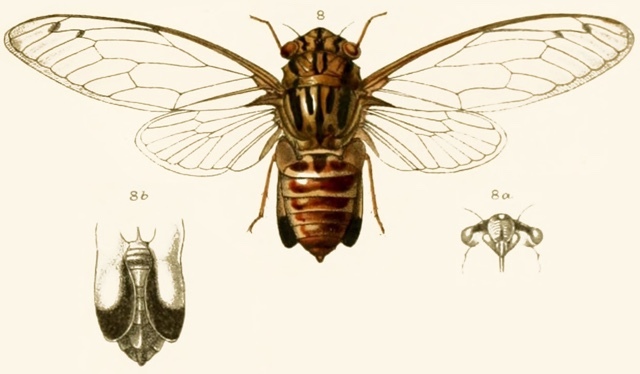 The image says Cicada rudis, but the newest name of this cicada is Cornuplura rudis.